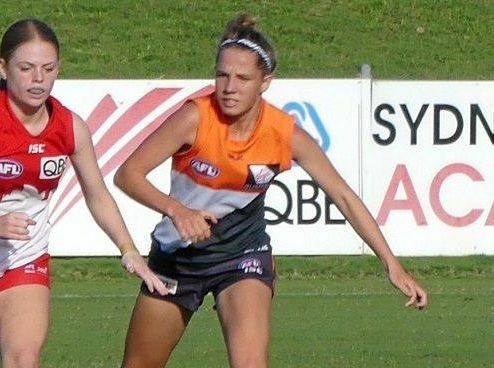 Ahlani Eddy (right) playing for the GWS Giants Academy team. AHLANI Eddy is one of four AFL North Coast players to be selected in the NSW/ACT Youth Girls team to play two matches against Tasmania. 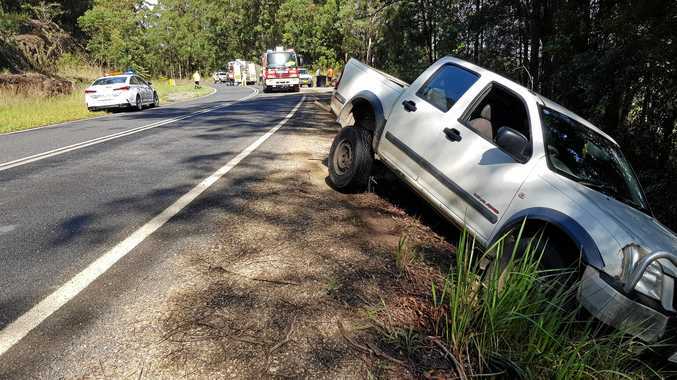 The Sawtell/Toormina player moved to the region at the start of the year from Albury and has wasted no time in displaying her talents. Now living at Corindi Beach, the excellent athlete with a knack for finding the ball then showing plenty of run and carry, will be joined in the team by Georgia Breward (Lawrence), Lilly Doyle (Grafton) and Brianna McFarlane (Maclean). The quartet was selected following talent camps held throughout the early part of the year and the recent Northern Academy Series in Coffs Harbour.